The image below shows the preferences for the templates. You can see the current templates and add, remove or edit them. 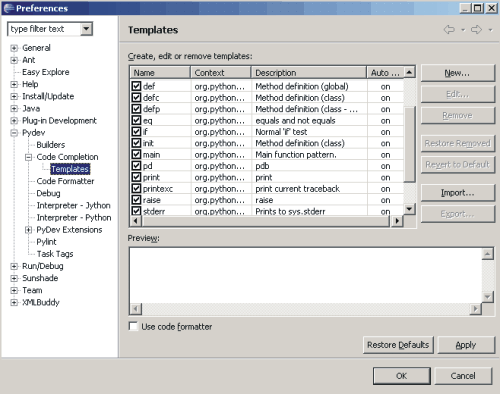 NOTE: After you have the templates configured, they are brought up together with other completions through Ctrl+Space.